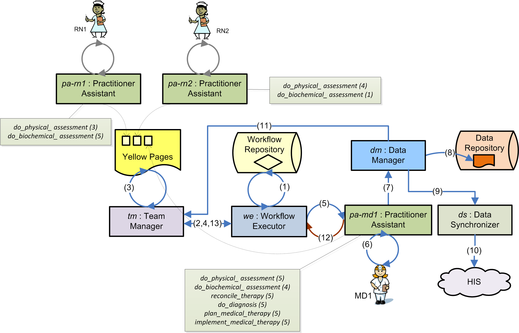 and supporting clinical decision making by constructing decision models from patient data using data mining techniques. An IHT has been advocated as a way to manage chronic conditions and complex diseases like cancer. There is growing evidence that the working of an IHT can be improved with better coordination of team's activities and improved collaboration among team members. We are working on developing MET4 – a multi-agent clinical decision support system to facilitate operations of IHT members. Our focus is on aligning the execution of tasks according to a patient workflow and assigning appropriate team members to these tasks. The computer system will make this assignment by evaluating capabilities of each team member and matching them with the capabilities required for successful completion of the task. Managing comorbid (and often polypharmacy) patients is clinically challenging because of the complexities associated with identifying and mitigating adverse interactions across diseases and drugs. We are working on new methods to mitigate adverse interactions (drug-drug or drug-disease) that occur in concurrently applied CPGs. Our research relies on logic formalism to represent and manipulate the guidelines and combines this formalism with domain knowledge encoded as interaction and revision operators. 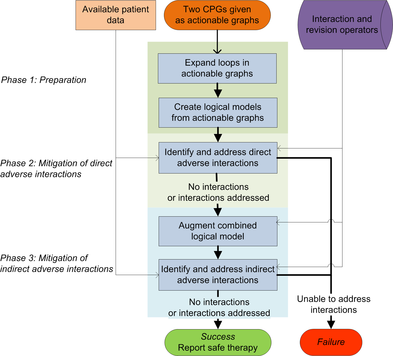 On the one hand, the logic paradigm allows us to efficiently solve logical models representing CPGs – a solution represents a therapy that may be safely applied to a patient. On the other hand, the operators characterize adverse interactions and describe revisions to logical models required to address them. We consider the proposed approach as a foundation for an alerting tool for a physician at the point of care that will be implemented as a component of a larger clinical decision support system. Chart data, particularly those stored in an electronic patient record contains a wealth of information that can be used to develop decision models for supporting evidence-based patient management (diagnosis and therapy). 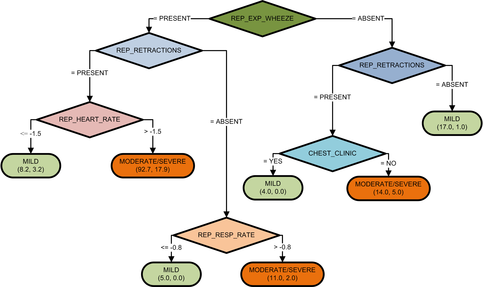 To this end, we use a number of data mining techniques to develop models supporting emergency department management of abdominal pain, scrotal pain, asthma, and minor head injuries. We are incorporating these models into the family of MET clinical decision support systems that assist physicians in making decisions in the emergency department. Some of these models were deployed and evaluated in a live emergency department environment.